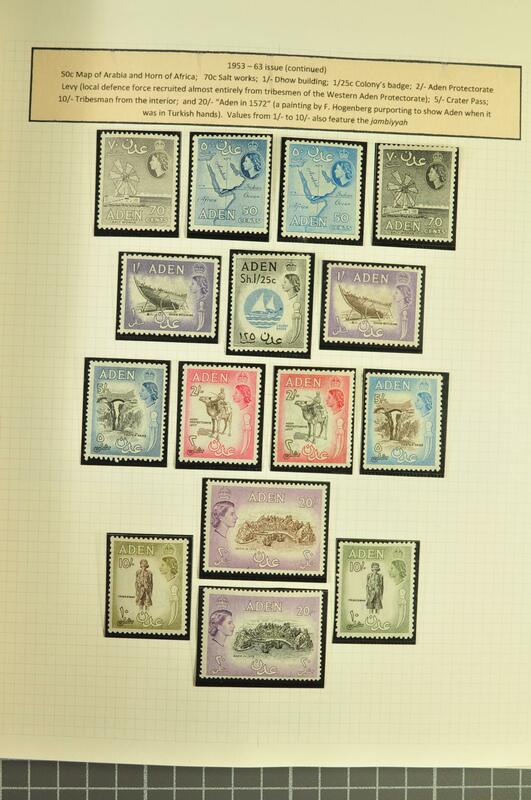 1926/78c. 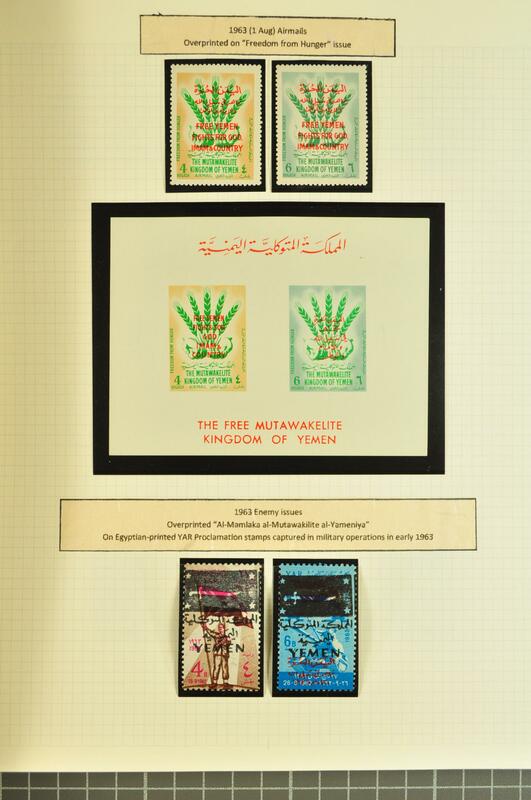 : Collections used/unused on leaves, well written up, with Kingdom and Immanate incl. 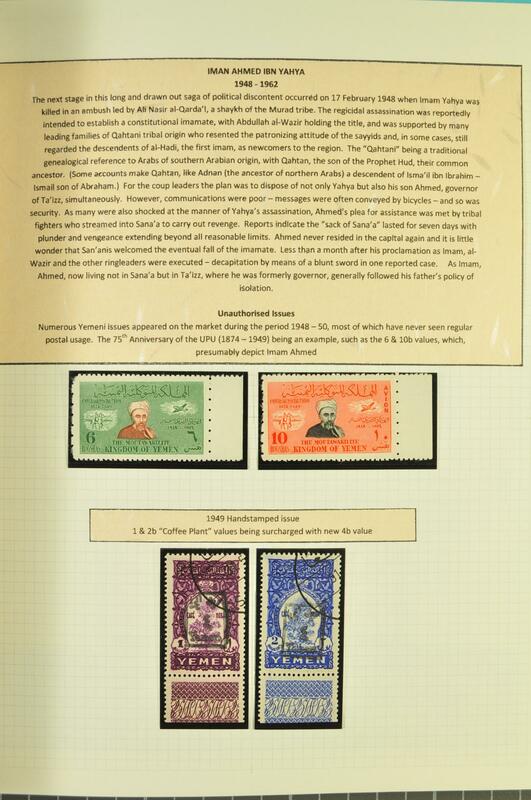 1926 first imperf. 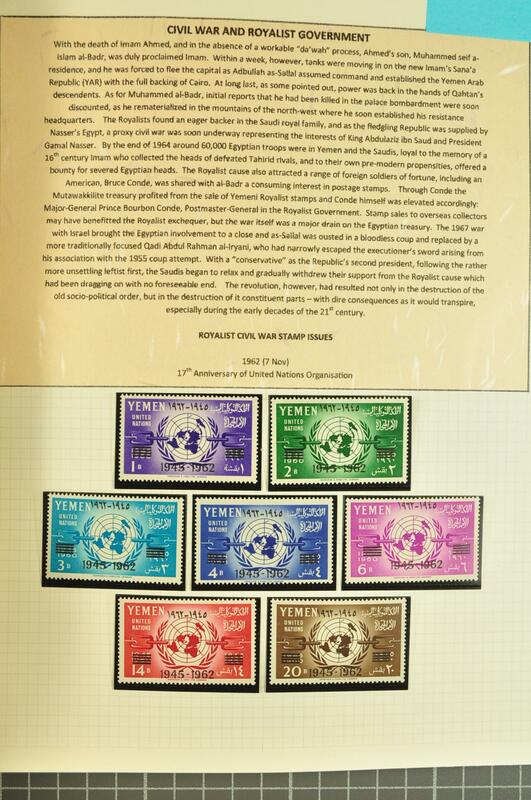 issue, 1962 Royalist civil war stamp issue incl. 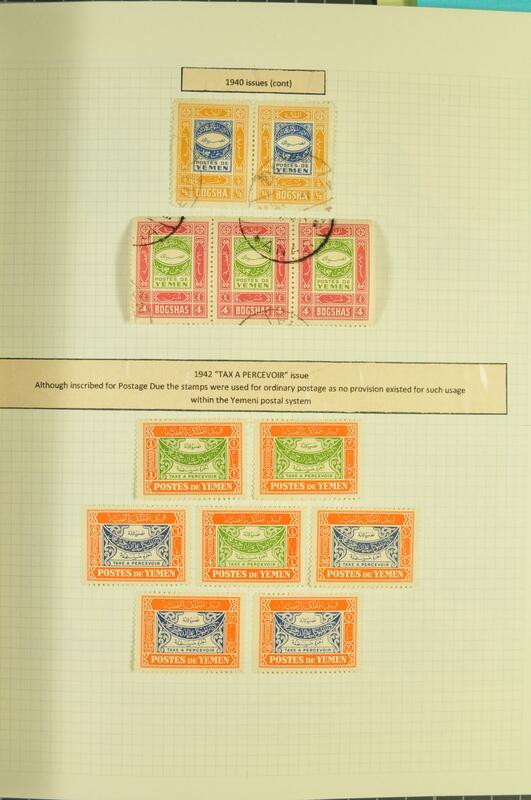 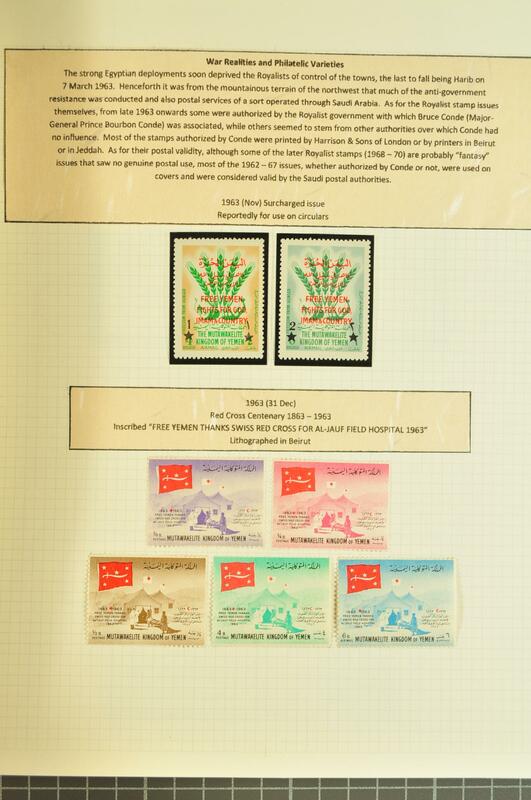 1964 consular fee stamp pair ovpt. 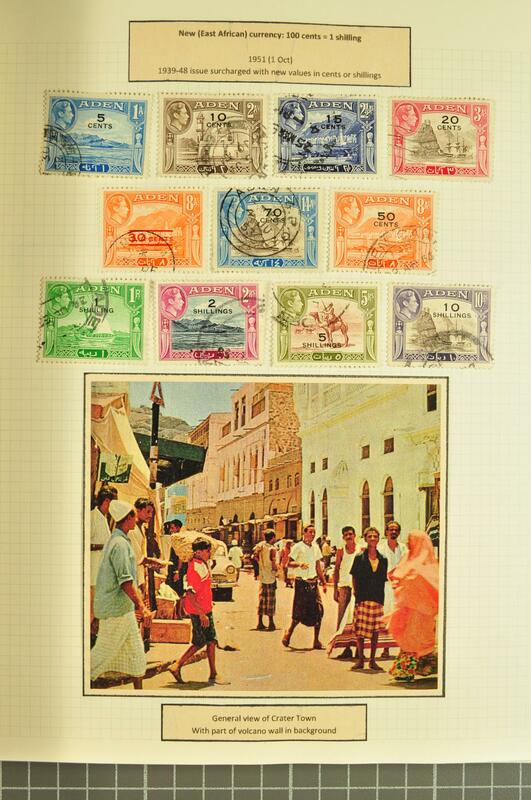 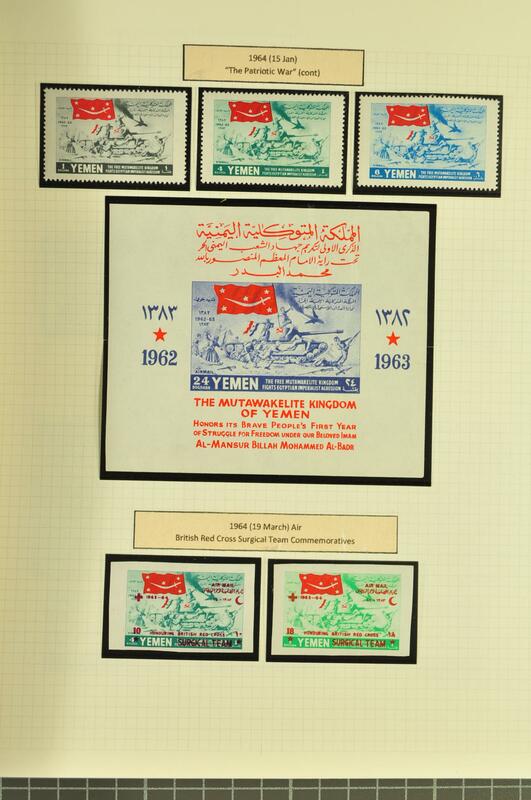 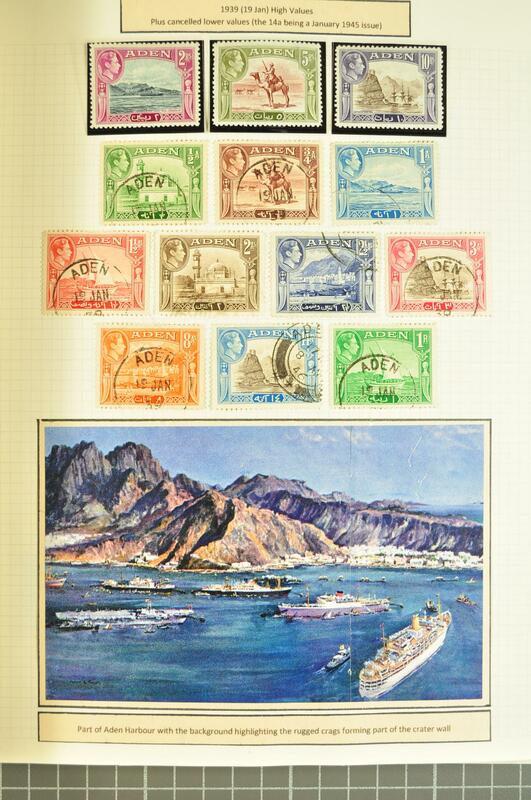 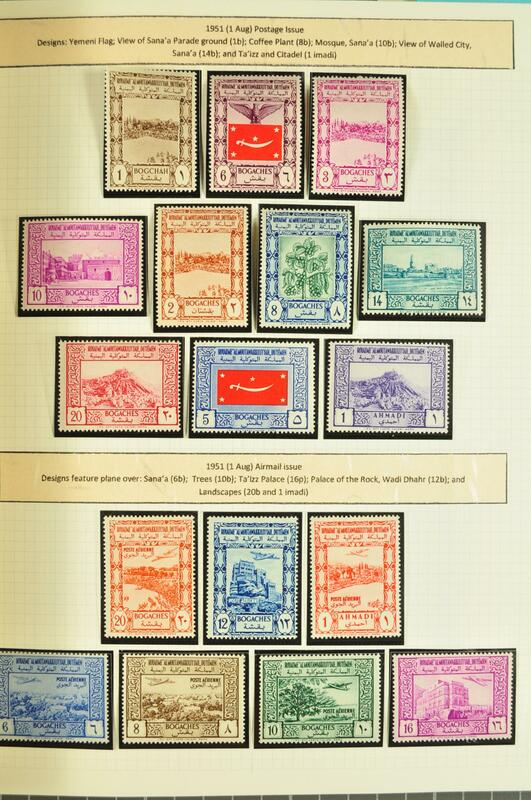 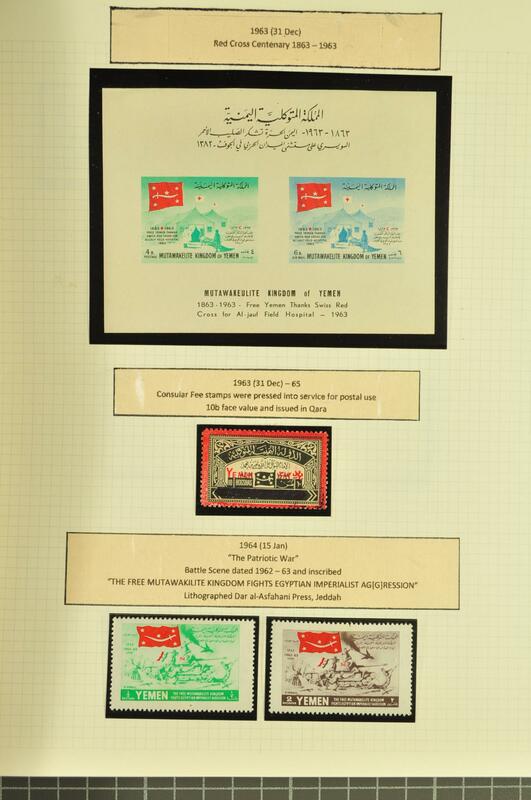 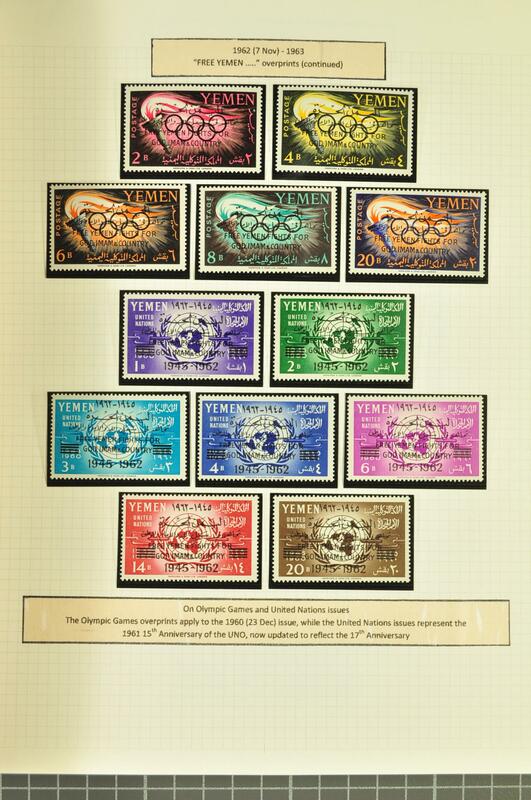 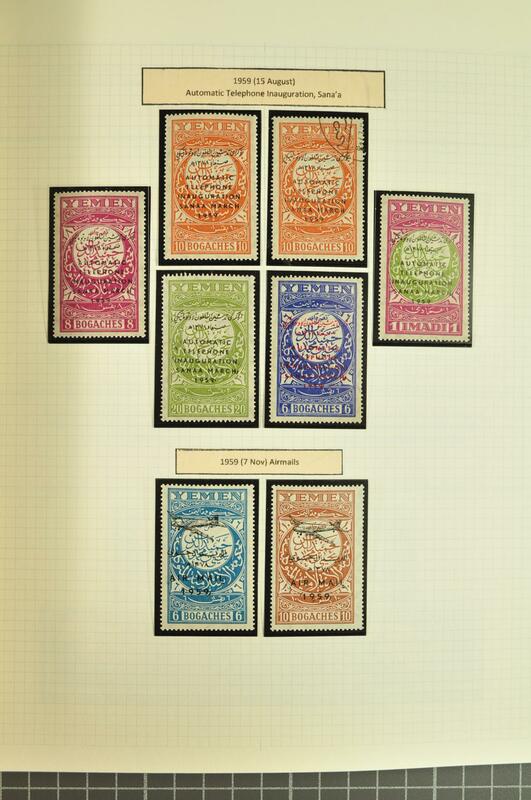 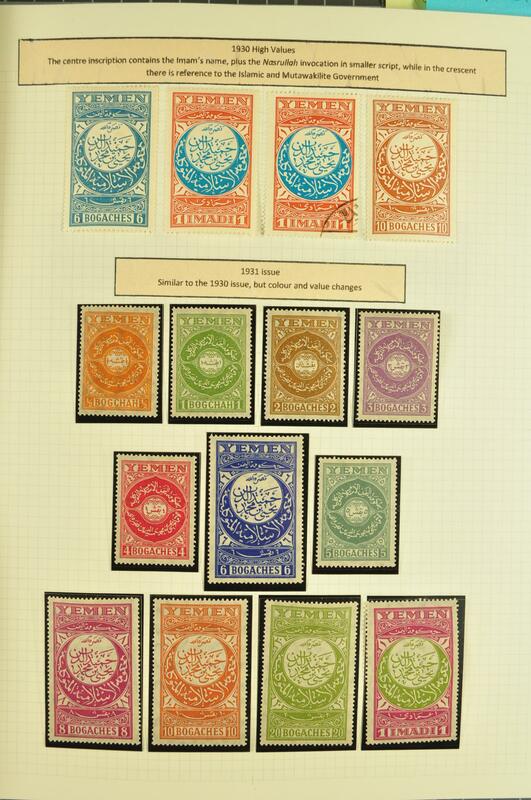 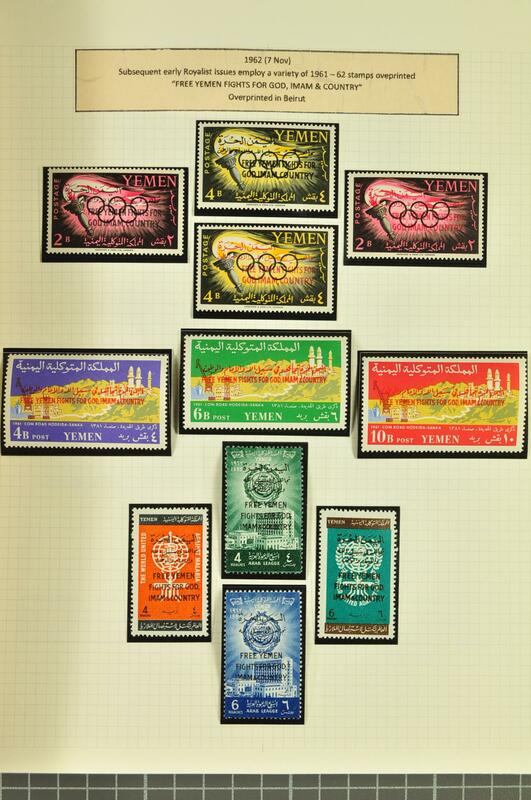 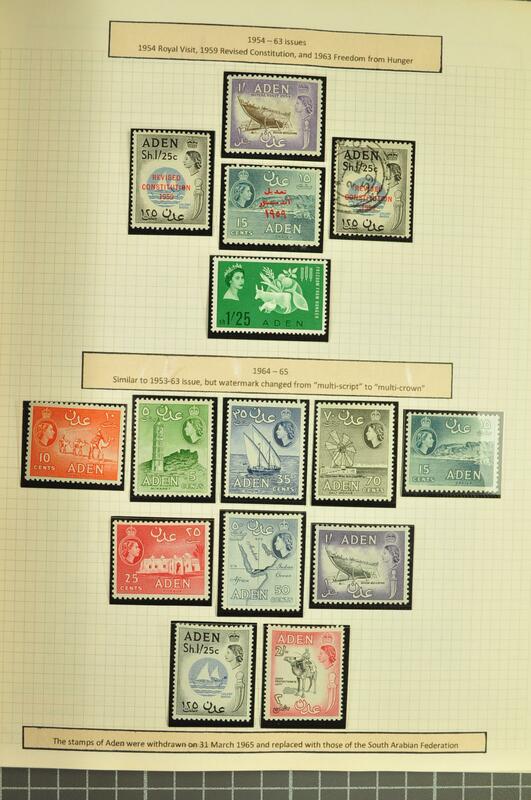 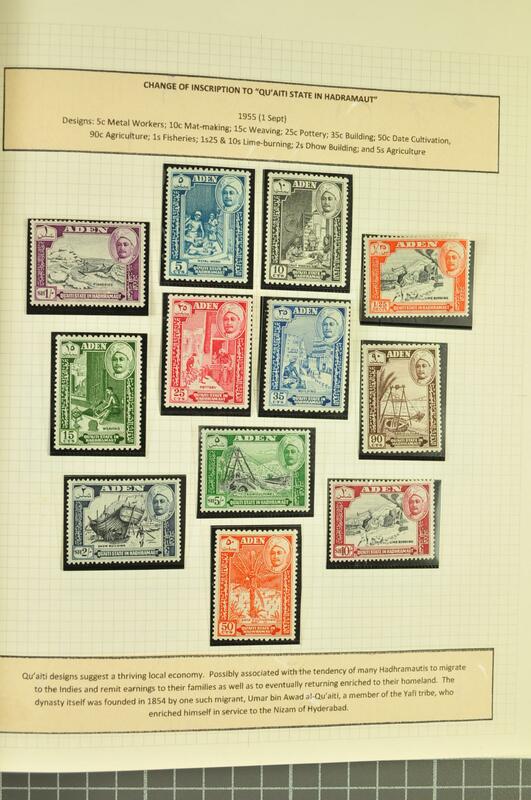 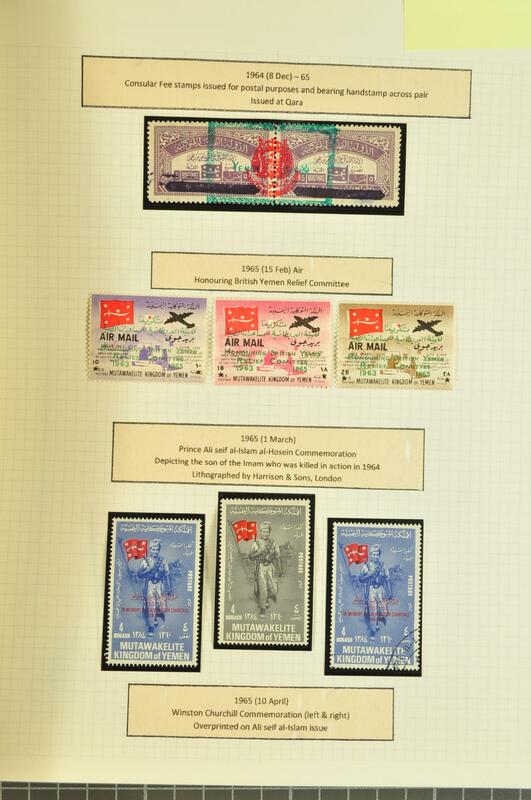 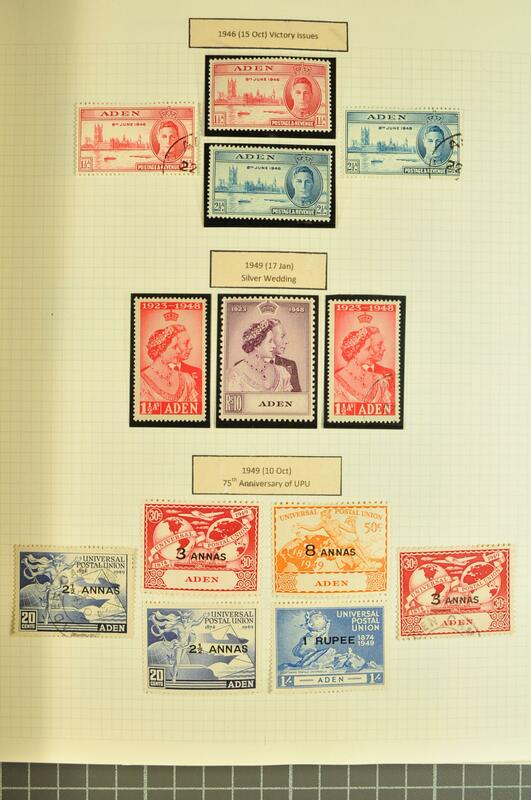 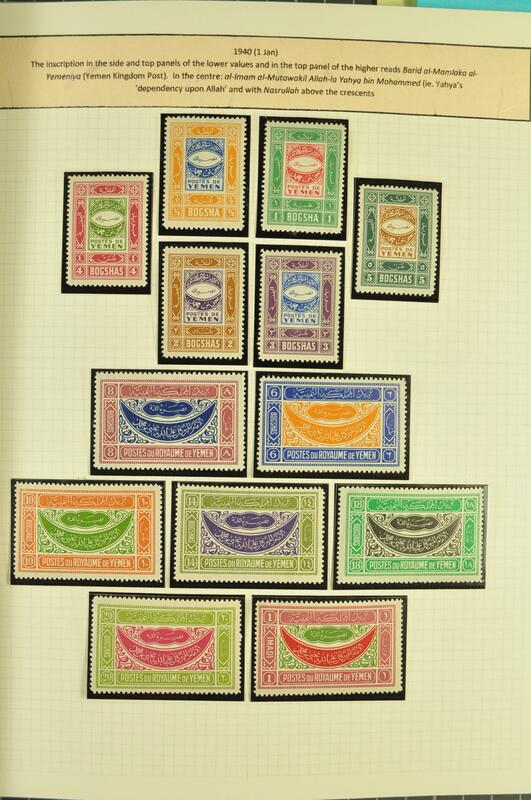 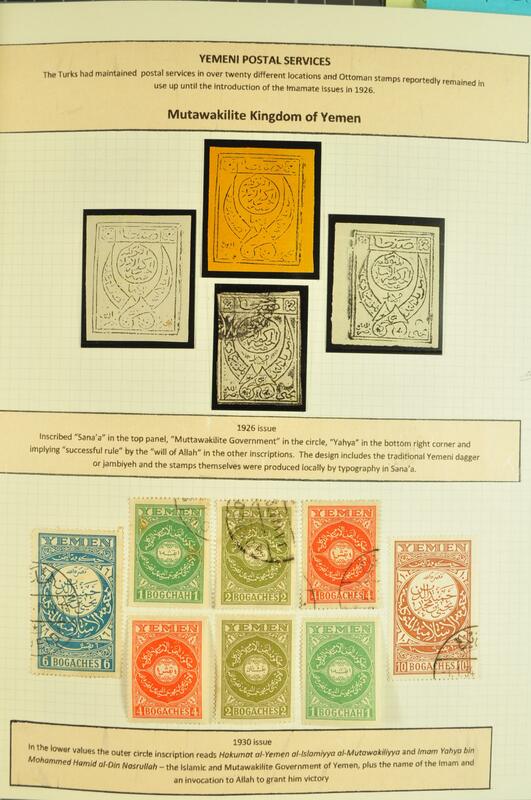 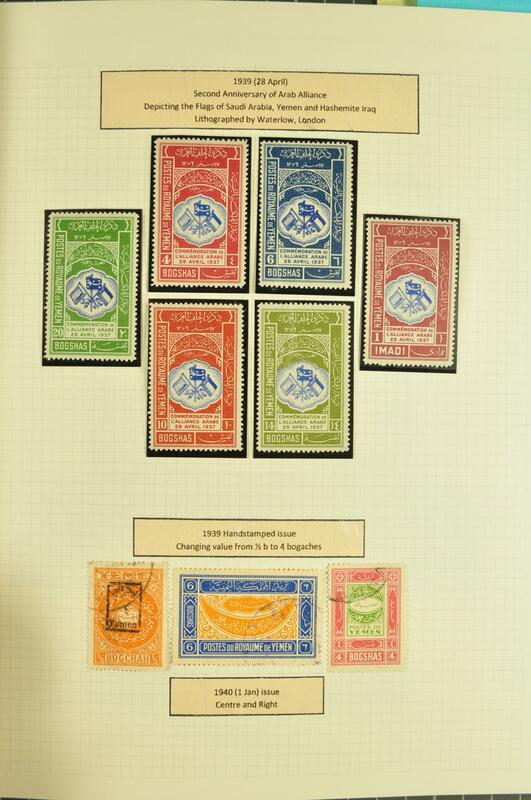 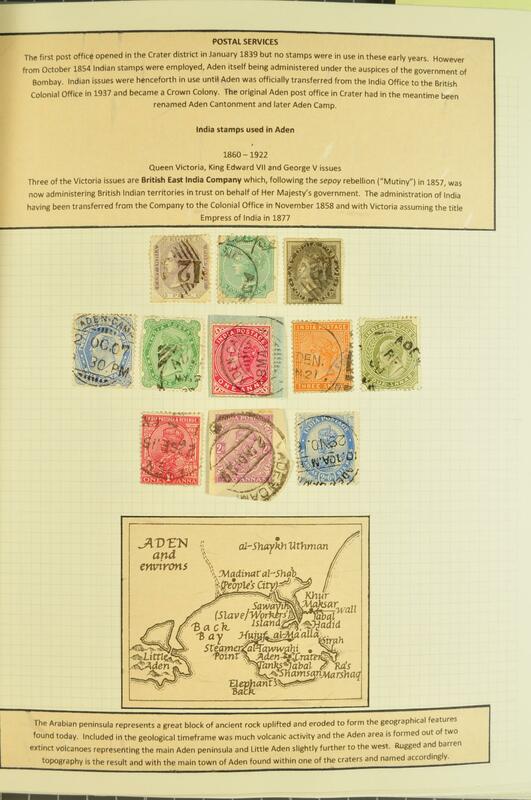 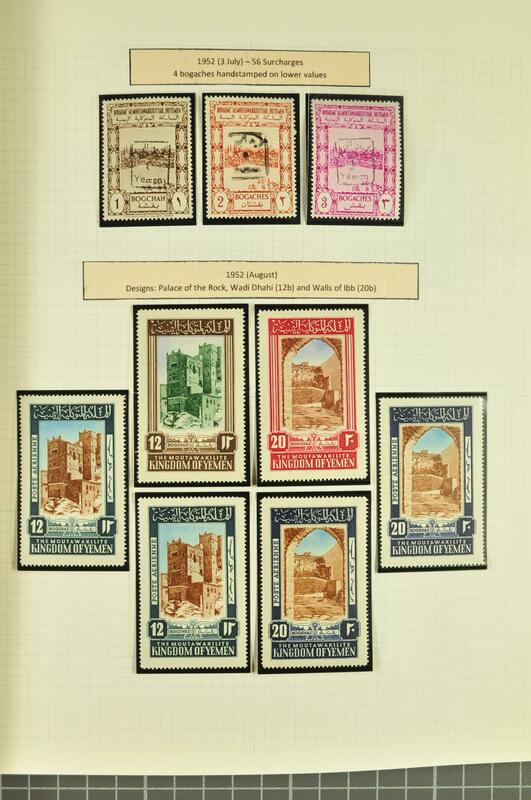 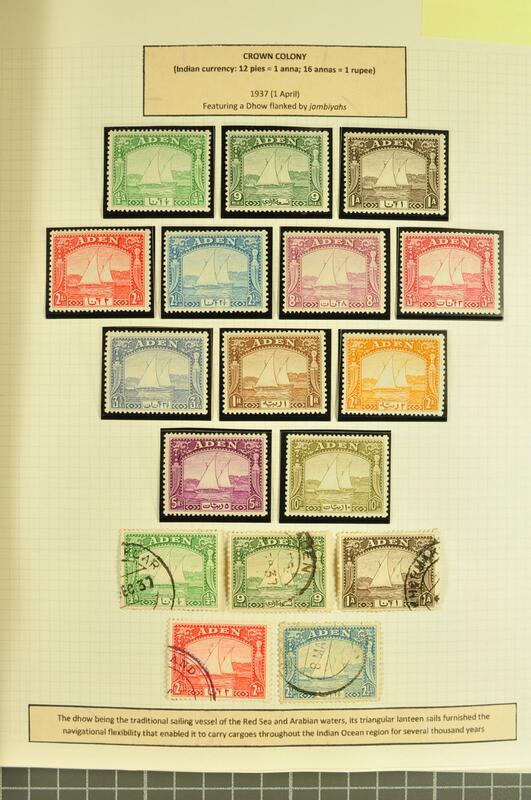 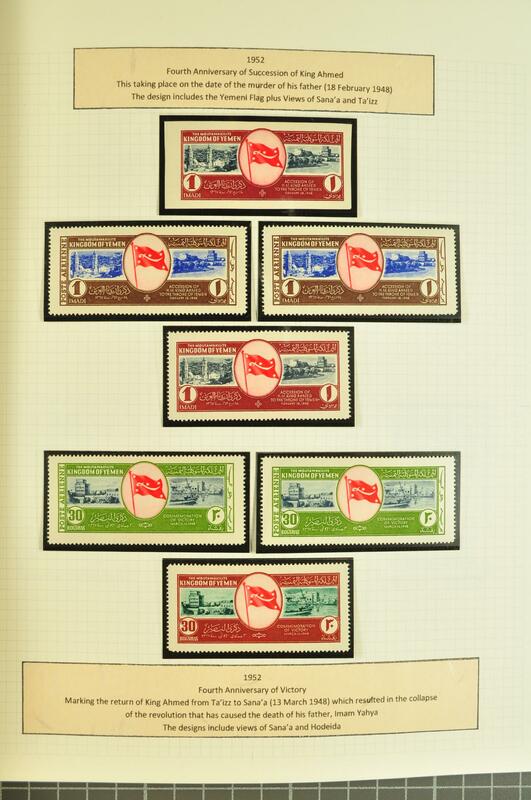 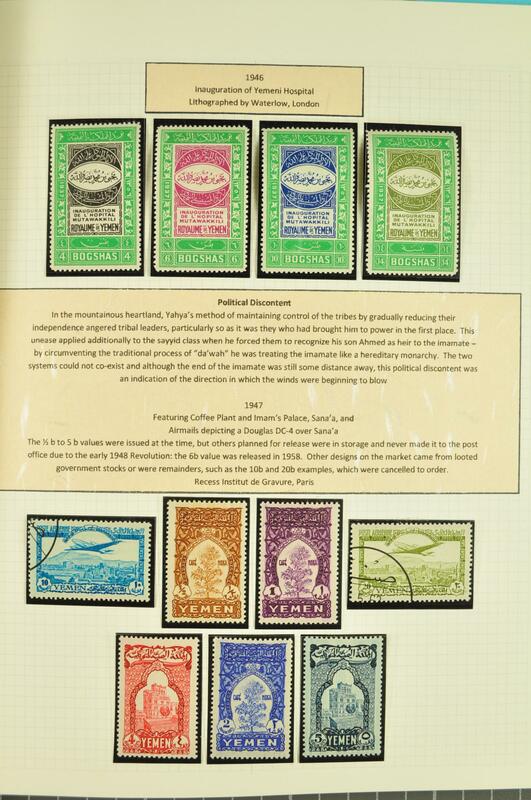 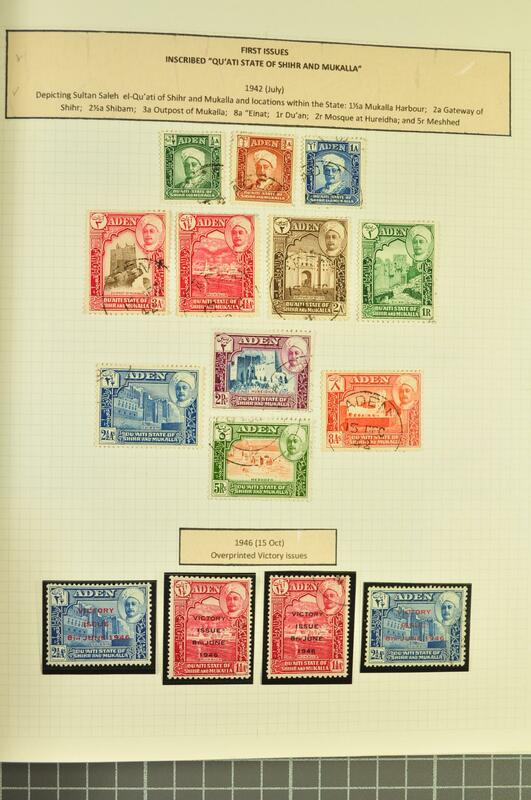 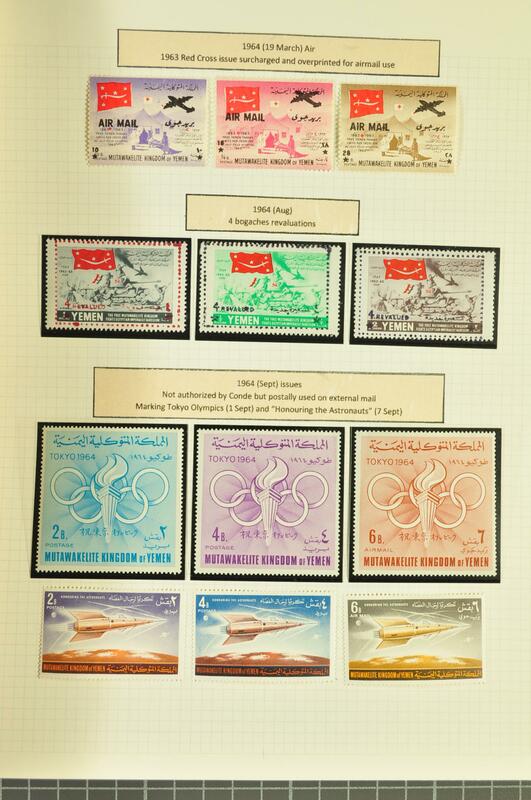 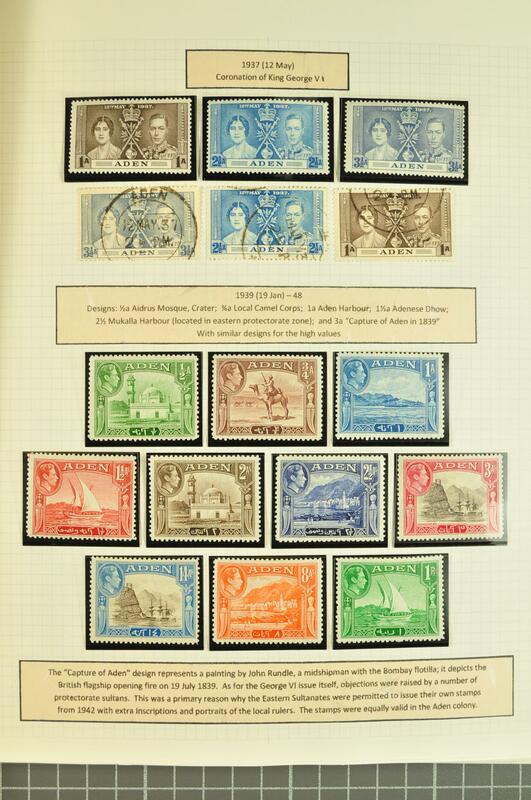 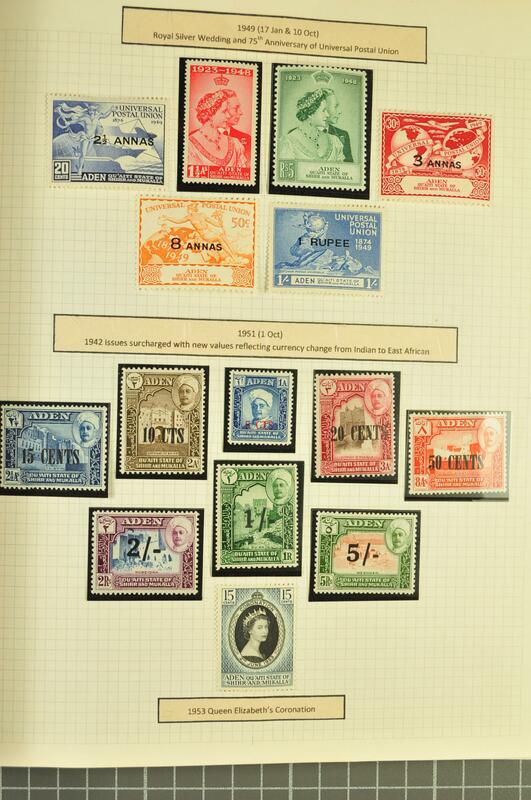 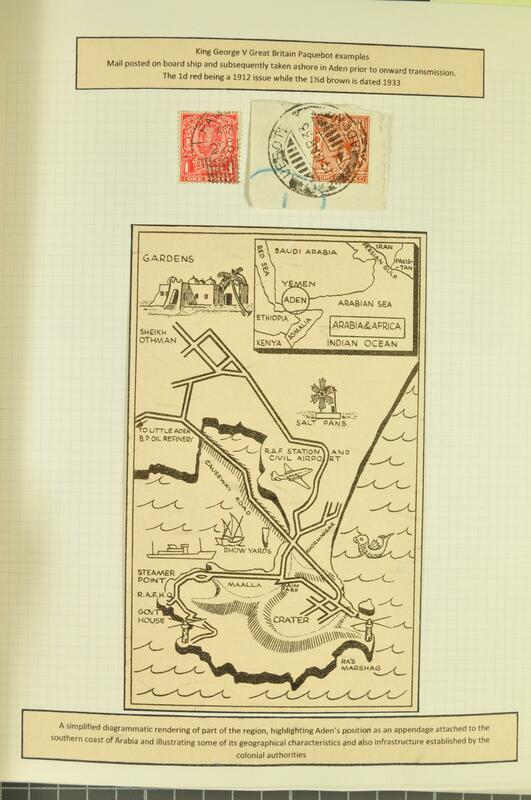 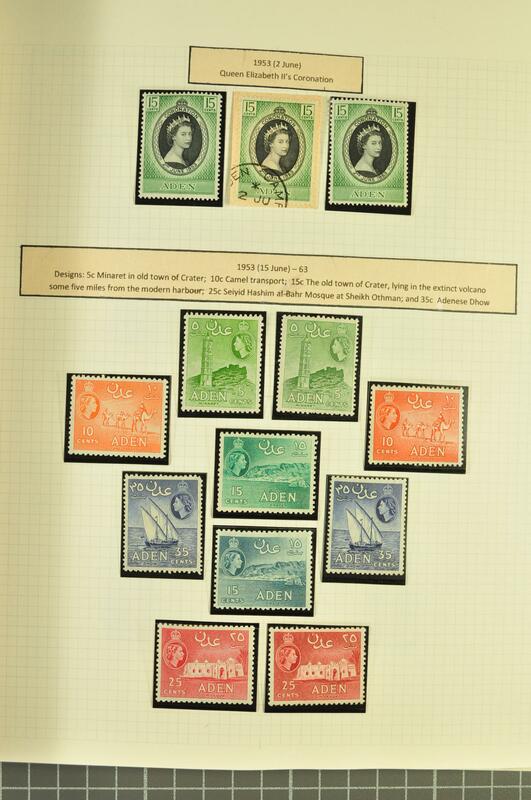 at Qara (Gi = £ 1'500), Yemen Arab Republic from 1963, People's Republic of South Yemen from 1968, and People's Democratic Republic of Yemen from 1970, in addition Aden starting with 1858 '124' numeral cancellation, paquebot cancellations, 1937 Dhow definitives unused up to 10 r. olive green (Gi = £ 1'200), 1939 definitives unused up to 10 r. sepia & violet, Aden protectorate definitives, and South Arabian Federation, a good general collection of each area.